Welcome to the fourth and final installment of Marketo Revenue Cycle Modeling Done Right. If you think you’ve finished after your model is up and running, guess again – the real work is about to begin. You will need to test and tune a lifecycle model, an essential step that requires more work and effort than you might think. After seeing dozens of models, and investing many hours of my time building, testing and reporting from many more models I know very well that this important step is often overlooked and/or underestimated. Marketo’s modeling tool collects tons of lead flow data as it happens. That’s great, but once a lead flows from one stage to another, you can’t undo or reverse the original flow that occurred. Yes, you can move the leads to another stage. But if your model has flawed logic, and leads move around the wrong way, you can’t restate the flow, conversion and velocity metrics. So you better test and correct your model early and often – especially early. You definitely don’t want your senior management asking for a lifecycle report three months after launch only to discover that the data is wrong and you can’t restate it. Create a spreadsheet with the lifecycle moves you want to test, and what the expected outcome of each use-case should be. For example, if your model design stipulates that a new lead with a score over the MQL threshold flows through the prior stages on the way to MQL, you should document and test that use-case. Even with a test plan that covers all of the basic use-cases, you can’t cover every possible lead flow that can happen – especially in the dynamic environment that is the Marketo platform. Create a static list and import test leads from a CSV file. Use the leads to change scores, lead statuses, opportunity stages and whatever is required to move test leads around and see if the lead flowed through the model as you expected. Believe me, no matter how careful or thorough you were in your design and build, you will find model behaviors you did not expect that will require modification – and then more testing. Test leads originating in your CRM. Test lead originating from your website. Test, test and then test some more. 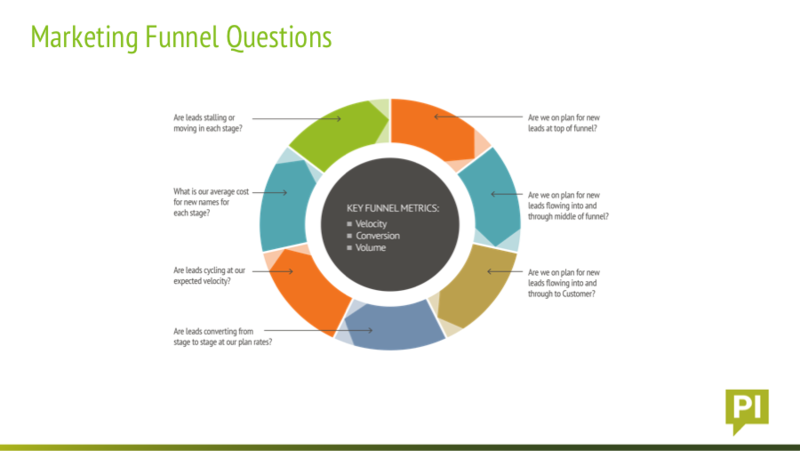 It’s a pain, it’s time consuming, but it will pay off when you analyze funnel metrics that you can trust – and not have to throw out because they can’t be restated. I hope you found this blog series on Marketo Revenue Cycle Modeling useful in helping you on your journey to revenue cycle reporting – whether you’re just starting or re-thinking your funnel. I covered and compressed a lot of material into this blog series and still there’s a lot more to this lifecycle modeling stuff than what you read here. Enter into the modeling game with your eyes wide open to the reality that it takes time and effort to get it right. My advice is this: if you don’t have the time or expertise to do it right then wait until you do because you’re better off with no funnel data than bad funnel data. When you do get it right, you’ll be rewarded with insights to your marketing programs and a basis to plan your programs to feed your marketing / sales funnel in the most cost effective way that gets you to customer and revenue targets. After your model runs for a few months collecting data, download our free Demand Planning worksheet, plug in your baseline stage conversion percentages and timeframes, and show the world that you have a revenue plan based on a revenue model built with Marketo’s Revenue Cycle Modeler.